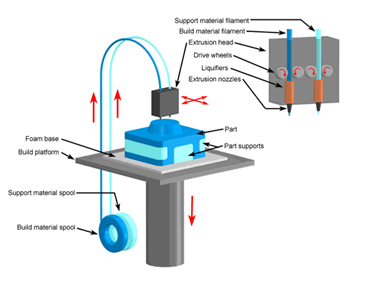 Fused Deposition Modeling (FDM) FDM is an excellent choice for any 3D Model that needs to closely represent to the final product in strength and durability. 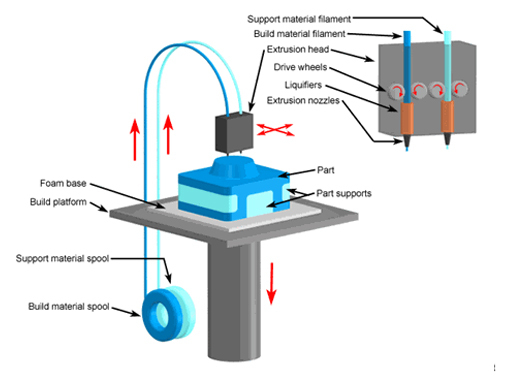 The process is, a plastic or wax material is extruded through a nozzle that traces the part's cross sectional geometry layer by layer. 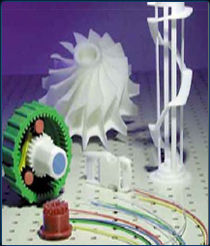 A range of materials are available including ABS, polyamide, polycarbonate, polyethylene, polypropylene, and investment casting wax. Max part size (LxWxH) : 36.00 x 24.00 x 36.00 in. Min feature size : 0.005 in. Min layer thickness : 0.0050 in. Surface finish : Rough (Optional: Sanding, Painting & Finsihing.